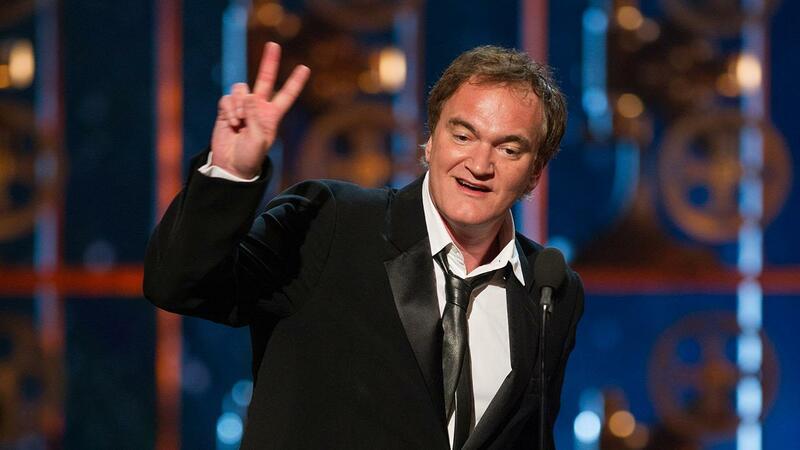 Quentin Tarantino Creating TWO Versions of ‘The Hateful Eight’! Director Quentin Tarantino has been very vocal about his displeasure in the advance of the digital age and the abandonment of 35MM film as a method to capture movie magic. His newest film The Hateful Eight was actually filmed on 70MM and the filmmaker is even retrofitting 50 theaters nationwide with 70MM projectors with Anamorphic Projection lenses so audiences can properly enjoy his vision. But that’s not all. In the two weeks prior to the film’s digital release date of January 8, 2016 Tarantino will premiere the film in a 70MM traveling roadshow. And the version that starts showing on Christmas day will actually be a slightly different version than the widespread release. The roadshow version has an overture and an intermission, and it will be three hours, two minutes. The multiplex version is about six minutes shorter, not counting the intermission time, which is about 12 minutes. [The longer cut] was awesome in the bigness of 70, but sitting on your couch, maybe it’s not so awesome. So I cut it up a little bit. It’s a little less precious about itself. Does six minutes of “cool” shots being cut really make a difference? It certainly does for me. The average fan might be turned off by the three hour time limit, though. I’m all for it, more Tarantino is always better, but I’m going to pick my showing very carefully as most public audiences have trouble containing themselves for 90 minutes, let alone twice that time. This entry was posted in Breaking News, Film and tagged Quentin Tarantino, The Hateful Eight. Bookmark the permalink. ‘Batman: The Killing Joke’ to be R-Rated? ?